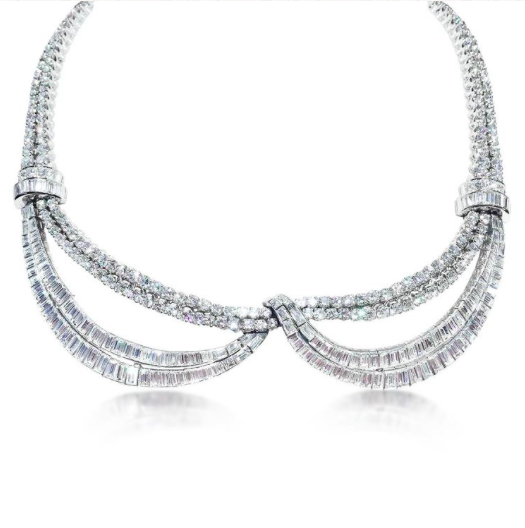 While there are many different styles of vintage jewellery spanning more than an entire century, most creations by the great designers or maisons simply do not age. 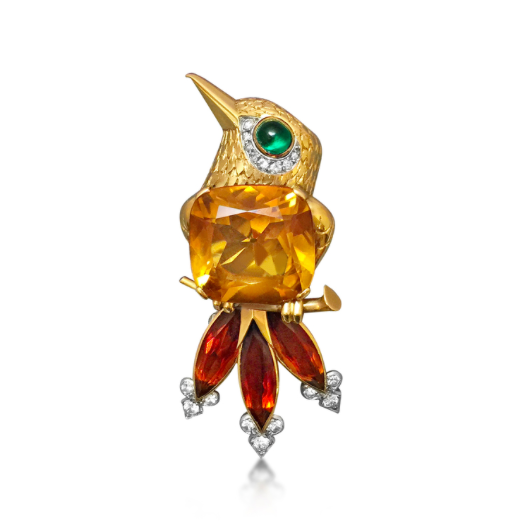 Even if you do not fancy decidedly antique-looking jewels such as cameos, or jewels that have acquired a patina due to age, there is still a wide range of vintage styles and choices. 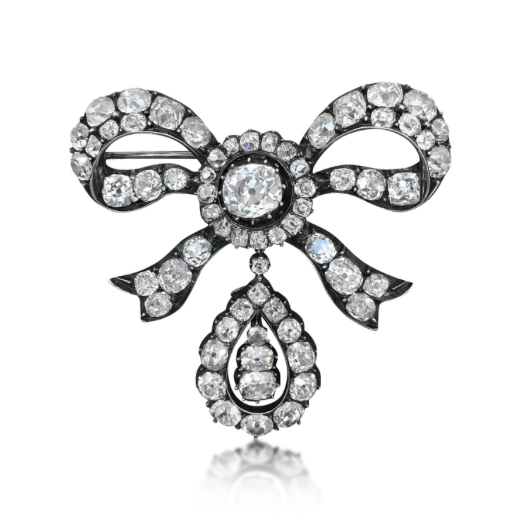 In fact, you will find that modern jewellery produced today still continue to reference designs created decades ago. Not only does a well chosen piece of vintage jewellery boost your style factor, you can be assured of not running into someone else wearing an identical piece! 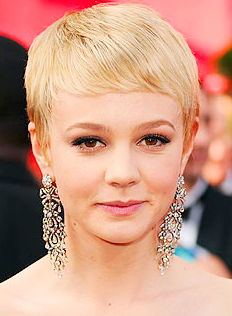 From L - R : Scarlett Johanssen's Art Deco engagement ring would most certainly stand out in a sea of diamond solitaires; Carey Mulligan wearing a showstopping pair of 19th century diamond ear pendants by Fred Leighton ; Margot Robbie wears the iconic Zipper necklace by Van Cleef & Arpels with aplomb; Miroslava Duma accessorises a casual ensemble with cameo necklace and ring; Jennifer Connelly juxtaposes a contemporary cocktail dress by Balenciaga with an elaborate vintage necklace; Brooches can be worn in the most unexpected ways, shown here, pinned onto the shoulders and collar of a wool coat; Olivia Palermo does casual luxe look with the help of whimsical brooches. Most modern jewellery are mass-produced by machines in factories, and lack the exquisite handcraftsmanship displayed by older pieces. 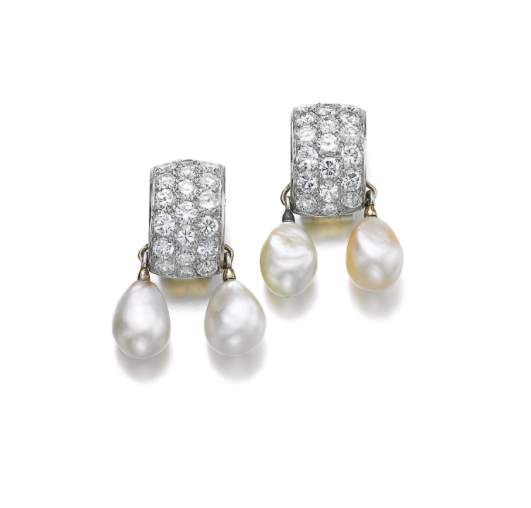 In the past, only the wealthy could afford fine jewellery, and therefore, small quantities were produced, meticulously and one at a time, by small ateliers of master craftsmen. What takes today’s machines and modern craftsmen to churn out in days, probably took traditional artisans weeks or even months to create. Even so, there are many intricate and painstaking ancient metalworking techniques that simply can’t be reproduced by machinery. The differences in detail, appearance of volume, and personality between vintage and modern works are stark should you take time to examine them. 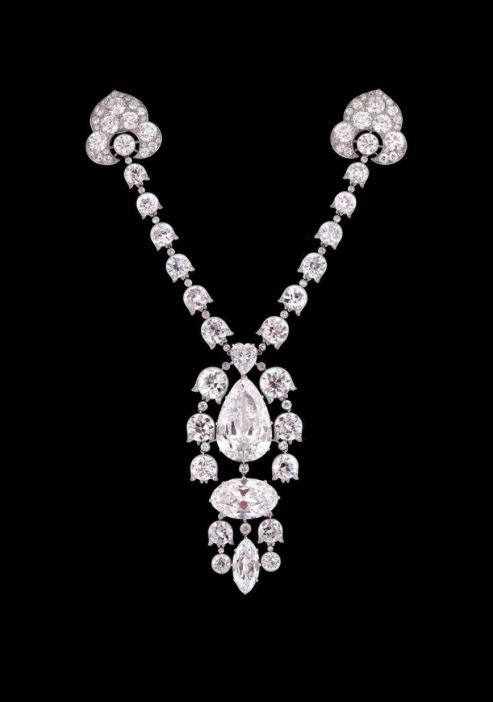 Even modern high jewellery reproductions of old designs by some of the most renowned maisons in the world do not match the quality of the originals. Some antique and vintage pieces that have commanded the highest prices at auction. 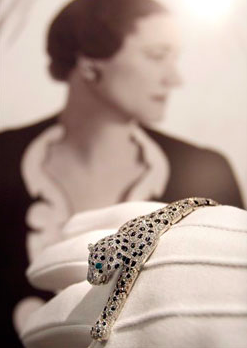 From L - R: An Onyx and Diamond Panther Bracelet, by Cartier. 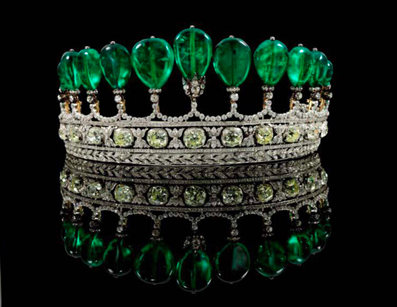 From the collection of the Duchess of Windsor ($7 million); A Magnificent and Rare Emerald and Diamond Tiara, formerly in the collection of Princess Katherina Henckel Von Donnersmarck, circa 1900 ($12 million); the Devant de Corsage Brooch, by Cartier, 1912 (over $20 million); a Belle Epoque Diamond and Emerald 'Eglantine' Necklace, by Cartier, 1906, belonging to Mrs Lily Safra ($1.168 million); the Hutton-Mdivani Jadeite Necklace ($27.44 million); La Peregrina – A Natural Pearl, Diamond, Ruby and Cultured Pearl Necklace, by Cartier, circa 1500, from the collection of Elizabeth Taylor ($11,842,500). If you are a gemstone aficionado, you’d appreciate the fact that most of the gems used in luxury vintage jewellery come from old mines that have since been exhausted, and boast conflict-free origins. Some of these mines also produced the finest stones the world has ever seen, such as the Golconda diamonds of India, and the Mogok rubies of Burma. The older the stones, the blockier and less highly faceted they are, because the more the gemstone cutters had to use rudimentary tools and their experience and sense of beauty to bring out the best of the stones. This means no two old stones are alike. 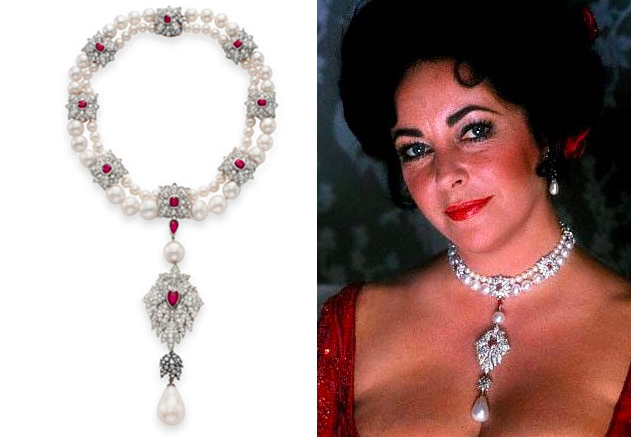 Fine estate jewellery that managed to survive the decades (or even the century) and have passed through different owners are certainly some of the best examples of the designs of their day. 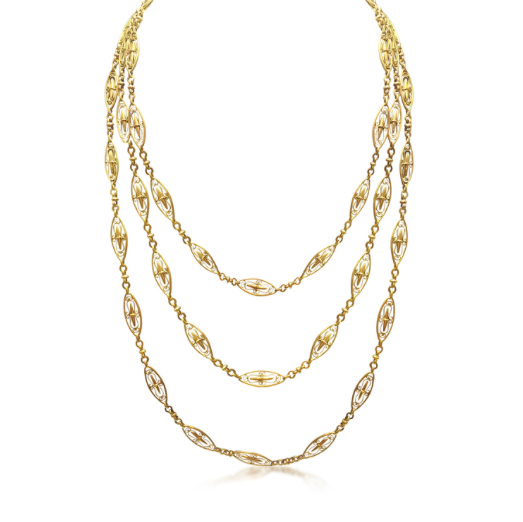 Fancy wearing a piece of jewellery with a secret message spelt out in gemstones, or a piece of iron jewellery, inscribed with the words 'Gold gab ich für Eisen' (I gave gold for iron). 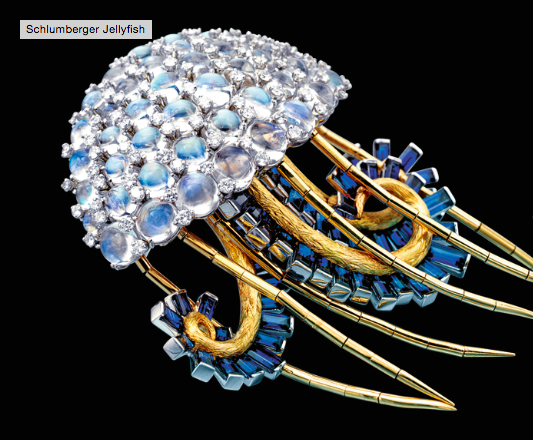 In fact, the greatest designers who ever lived also came from much earlier periods, such as the pioneers of today’s international jewellery maisons; René Lalique at the turn of the 20th century; Suzanne Belperron, Jean Schlumberger, Mario Buccellati and Fulco di Verdura in the mid-1900s. There’s no doubt that a well-made and signed jewellery piece will make an interesting dinner table conversation topic – be it their style, designer or provenance. From L - R: Fine examples of Art Nouveau jewellery are hard to come by as many did not survive the passage of time. 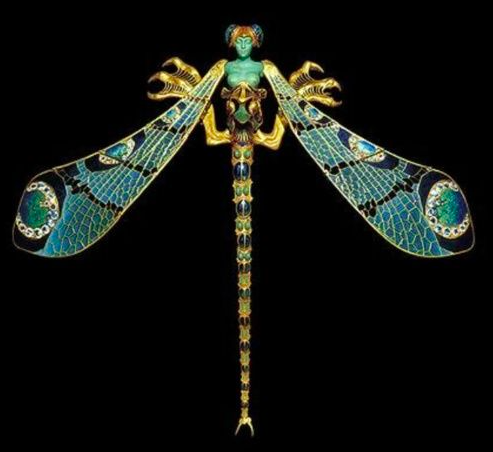 An Art Nouveau Dragonfly Corsage ornament, by René Lalique, circa 1897-1898; An Antique Georgian Ring that spells out "Dearest" with diamond, emerald, amethyst, ruby, sapphire and topaz stones; A Diamond Bombe Ring, by Buccellati, circa 1960s; 19th Century Berlin Iron Scrollwork Bracelets, by Fred Leighton - Kristen Stewart's choice of jewellery on the red carpet; A Pair of Natural Pearl and Diamond Ear Pendants, by Suzanne Belperron; A Jellyfish Brooch, by Jean Schlumberger, circa 1960s; Wrapped Ruby Heart Brooch, by Fulco di Verdura . In addition to well-made jewels bearing large and/or fine precious stones, signed collectible designer pieces of jewellery also seem to be recession-proof and tend to hold their value well over the years, regardless of whether they feature investment-quality gemstones. High on the wish list of every jewellery collector are a pair of these hammered 'manchette' gold cuff bracelets by Van Cleef & Arpels. 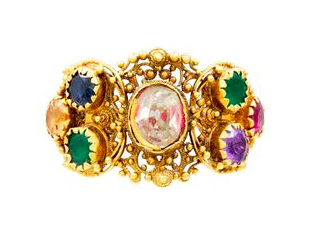 Made famous by Jackie O and produced in limited numbers in the 70s, these bracelets have made record prices each time they were offered at auction, particularly the pair owned by Jackie O, which set a record of $128,500 at Sotheby's in 2011. A list of the auction records can be found here. 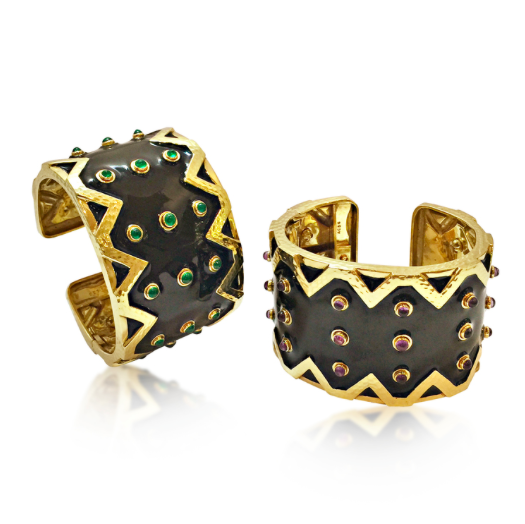 Considered one of the leading female designers of the modern age, Suzanne Belperron pieces are collected by those in the know. Her designs, once avant garde, remains relevant in today's fashion and does very well in the secondary market, often realising prices that soar 2 - 3 times above the estimate. This particular diamond bombe ring, created in 1956, achieved a result of $137,738 at Sotheby's Magnificent Jewels and Nobel Jewels in May 2015, almost 6 times above its high estimate! Some of the pieces available for sale right now at Revival Jewels. 1. A Silver, Gold, Sapphire and Diamond Unicorn Brooch, by Van Cleef & Arpels. 10. 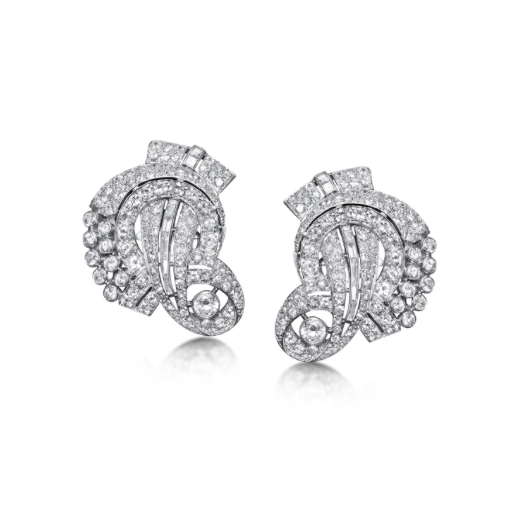 A Pair of 18K Yellow Gold and Diamond Earclips, by Tiffany & Co.